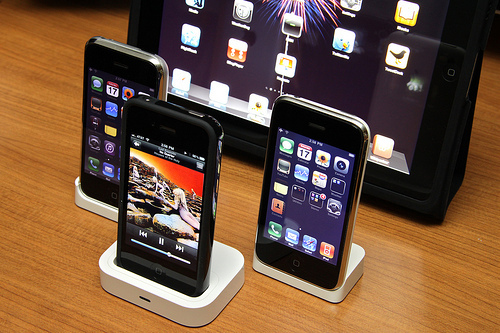 Digitimes is reporting that Apple has increased the number of iPhones it expects to ship over the first-quarter of 2011 from 19 million units to 21 million units, citing sources from Taiwan-based component suppliers. The company estimates that it will ship 14-15 million GSM iPhones, intending to ship 5-6 million CDMA-enabled devices that will not only be launched in the US with Verizon but in also in the Asia Pacific region in the first quarter. Apple is set to close this year with fourth quarter shipments estimated at 15.5 million units, totalling 47 million for the year, according to sources. In a separate report, Digitimes also states that Foxconn is still the exclusive manufacturers of the iPad 2, Apple’s new tablet expected to launch in the first quarter of 2011. Foxconn is also the exclusive manufacturer of GSM iPhones, with the company sharing production with Pegatron Technology for the CMDA handsets. The iPad 2 is expected to ship with at least five new features, building on the success that Apple has enjoyed with the first iteration of its tablet device.